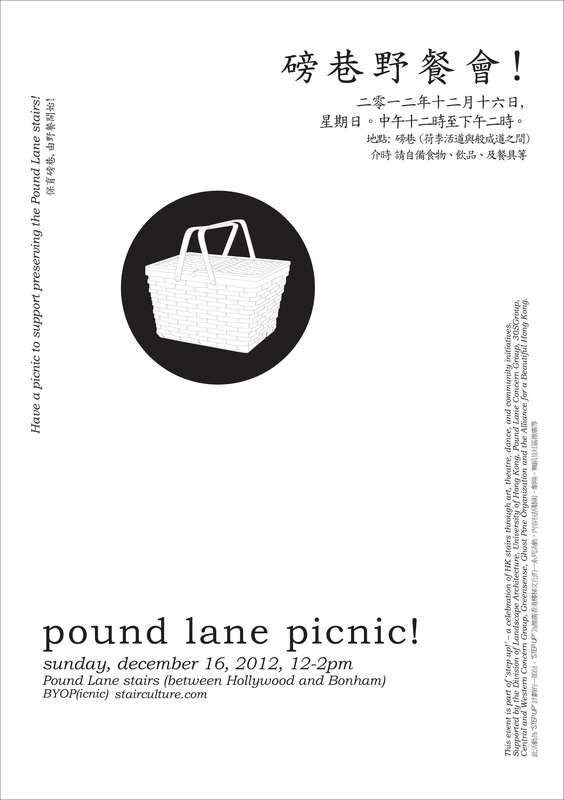 join us in ‘occupying’ the pound lane stairs to support preserving the valued character of Pound Lane and the Blake Garden neighborhood – our goal is to fill the entire length of the stairs with people and of course picnics! This event is part of ‘step up!’ – a celebration of HK stairs through art, theatre, dance, and community initiatives. Central and Western Concern Group, Greensense, Ghost Pine Organization and the Alliance for a Beautiful Hong Kong.